Sunday 9th September 2012 turned out to be a yet another memorable day. The day took start with heavy predictions of rain, the sky covered dark black clouds, Cold breeze a perfect day for outing. 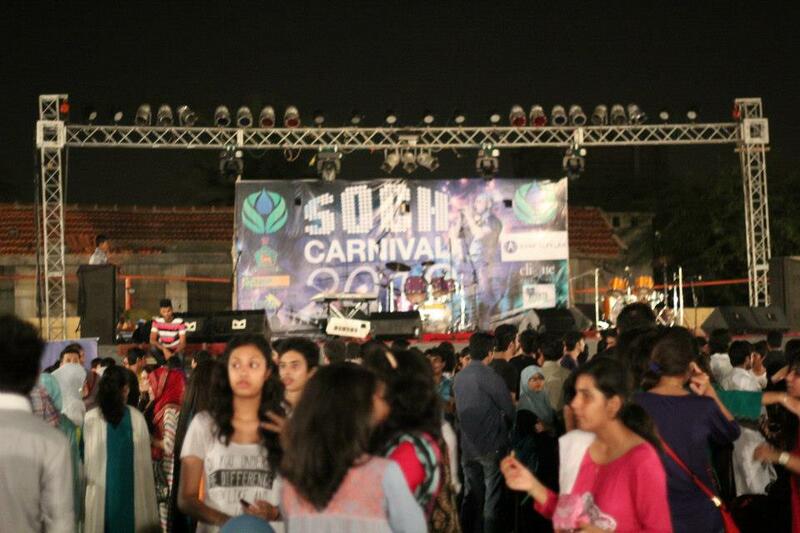 And luckily we had “SOCH Carnival 2012” on this day. 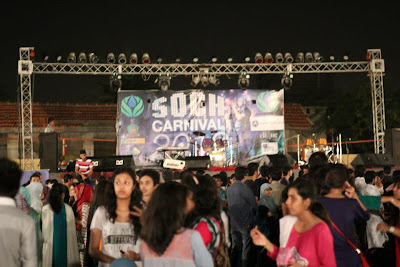 The carnival was scheduled to start at 4 Pm and it was amazing to see that people arrived even before the starting time. The carnival had a lot of food stalls positioned selling some delicious eatables, had games stalls, it can be said that the Carnival was very soundly planned. The carnival also integrated a Flash Mob. 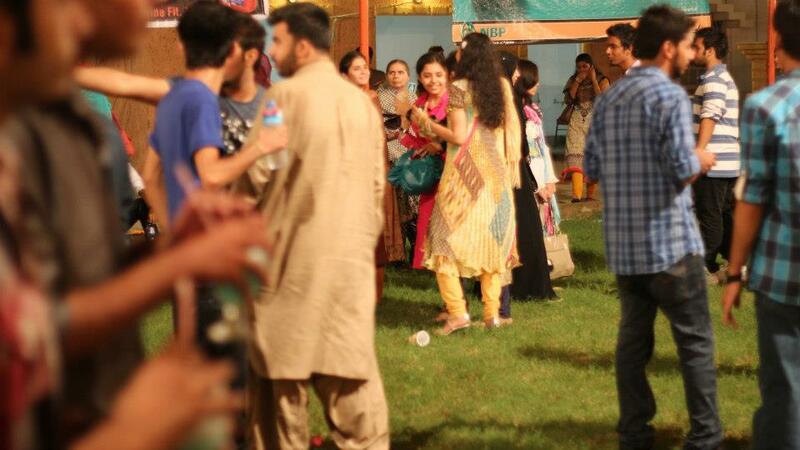 The overall ambiance seems lively and was cleared by looking at people that everyone was having a marvelous time. The biggest and the most attracting essentials of the carnival was the concert. 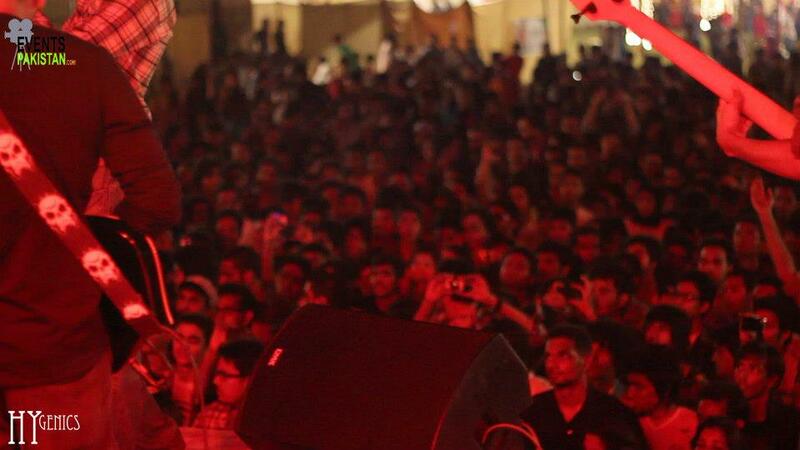 At around 8 the concert began, by beat box performance by Muzammil Shaikh, who was also the host of the concert. 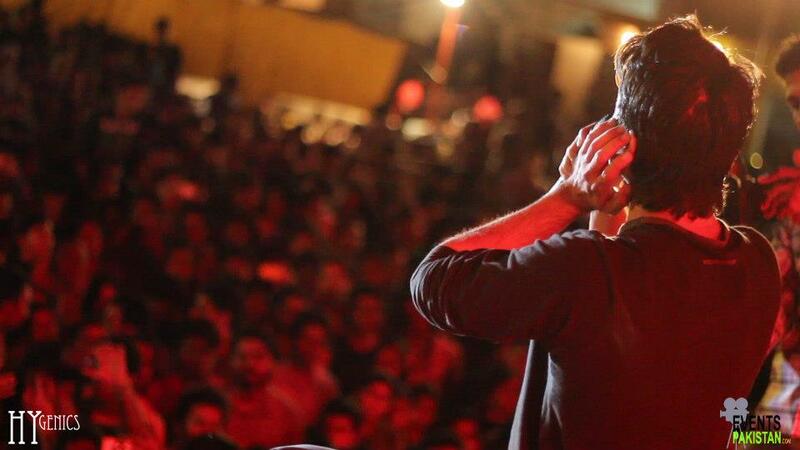 The entire crowd moved near the stage and the concert started with a mind blowing performance by Overdose Band followed by Nuts and Bolts just at the middle of the concert it started to rain which made the crowd enjoy more, as they knew Ali Azmat will be soon on stage. 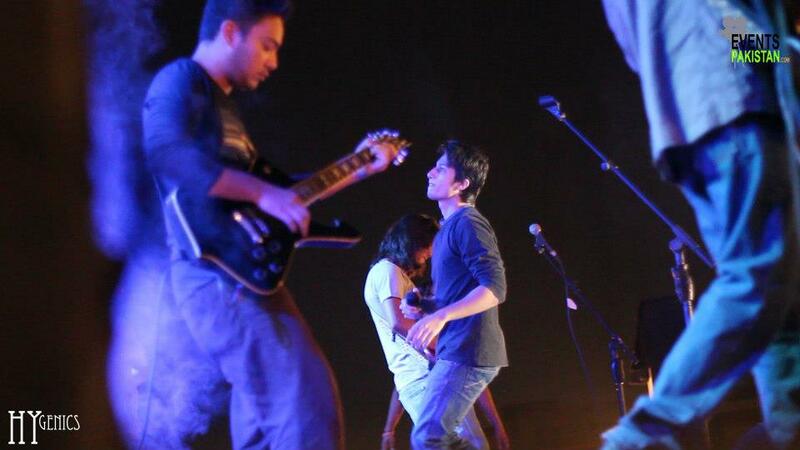 At around 10 am Ali Azmat surprised everyone by getting up on the stage and started performing. 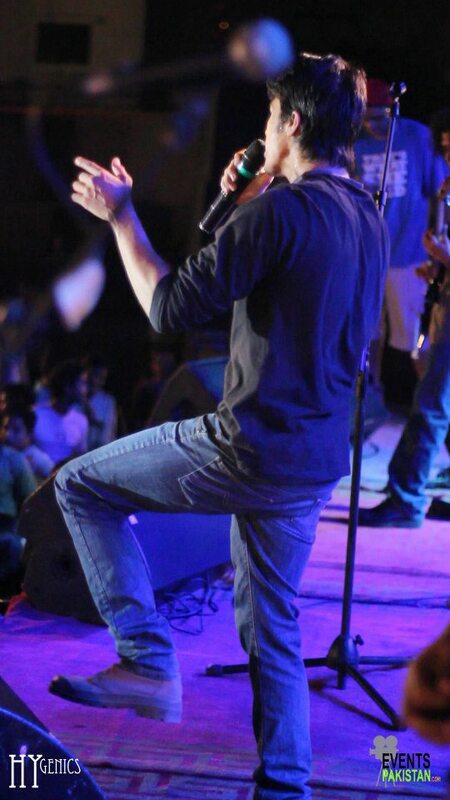 He performed ,Maula,Garaj Baras and other of his electirifying tracks. Overall we can say it was a great event. 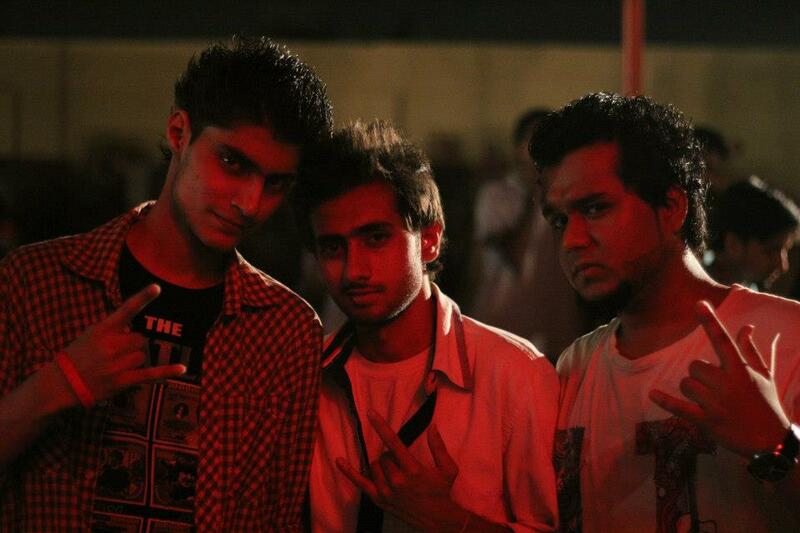 Everything was almost perfect, and trust me rain did not spoiled the fun, it just added more fun. It was attended by over 2000 people. 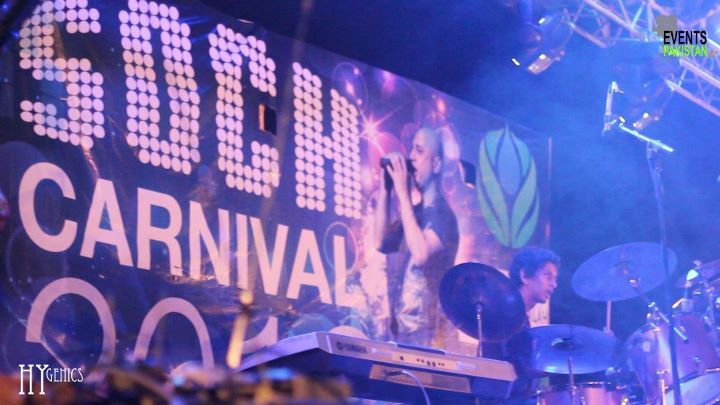 Events Pakistan was the Digital Media Partner of S.O.C.H Carnival 2012. The event was supported by Bank Al Falah, Bank Al Habib, Pakistan State Oil, National Bank of Pakistan and Pharm Brookes. CliQue Productions were the official graphic partners.